We all are aware about melting glaciers all over the world and how the rate of melting is speeding up every year. 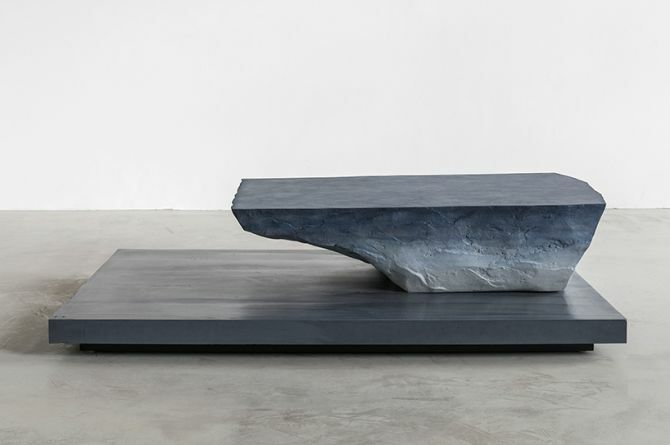 While researchers are trying to find ways to reduce glacier meltdown, there’s this Brooklyn-based artist Fernando Mastrangelo, who has beautifully encapsulated melting glaciers in his all-new Drift furniture collection. 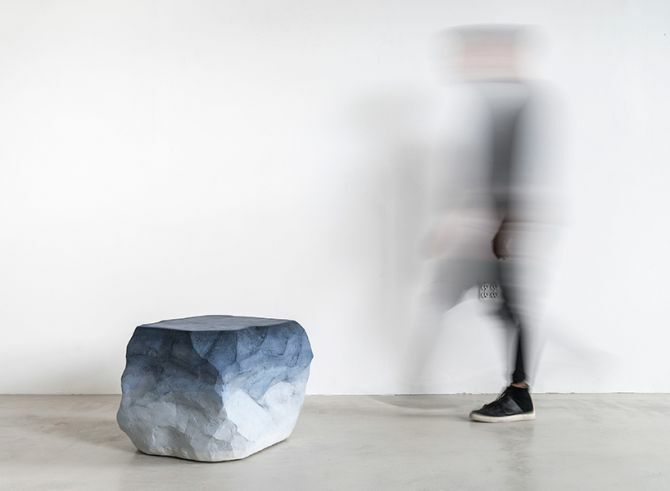 Comprising several sculptural pieces, the furniture collection draws inspiration from natural landscape such as Grand Canyon and Patagonia. 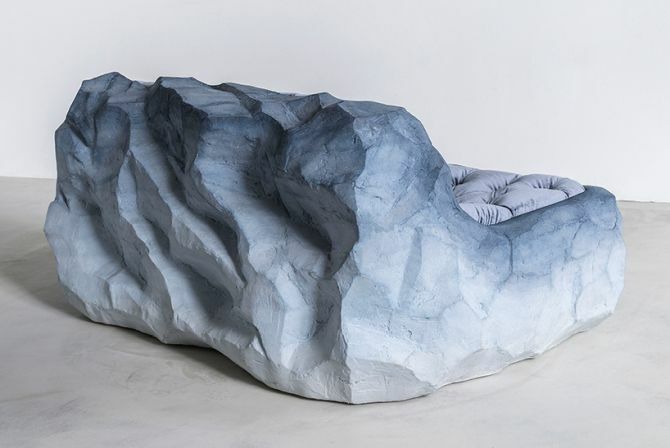 Using concrete and sand materials along with blue-toned color palette, Mastrangelo has managed to create a complete furniture collection that depicts Grand Canyon’s layers of earth and Patagonia-inspired color scheme. 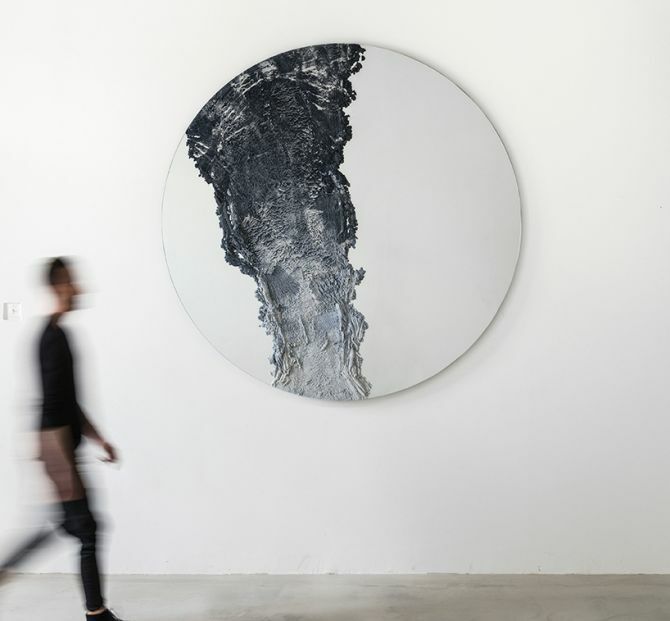 The complete furniture collection includes sofa, bench, coffee table, mirror and sand paintings. 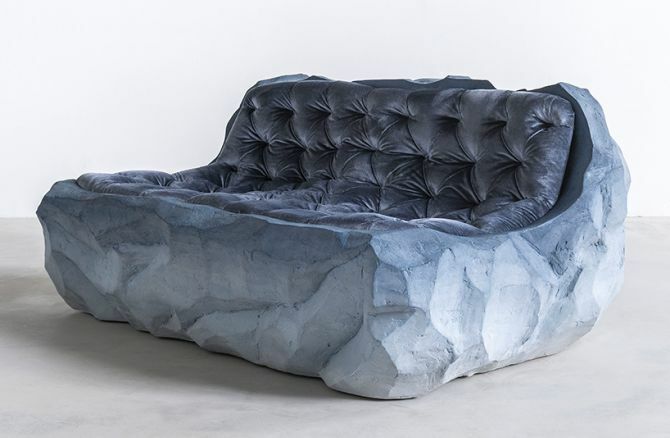 Although every furniture piece takes its cue from glacial-inspired rock formations, but we personally like the couch. 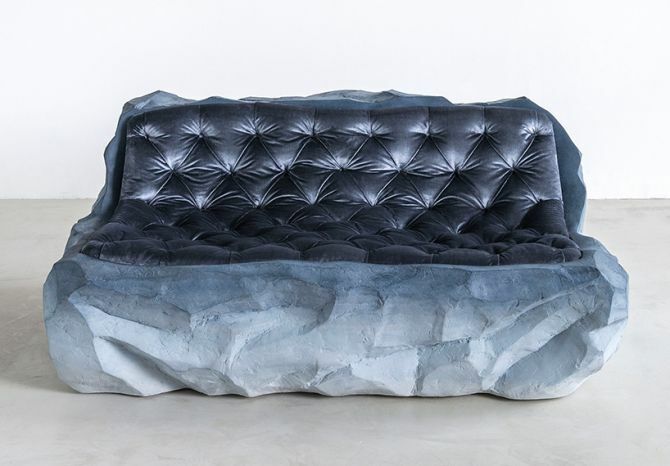 It has been constructed out of concrete to form a rocky base and for comfortable seating luxe velvet cushion has been upholstered on the unit. 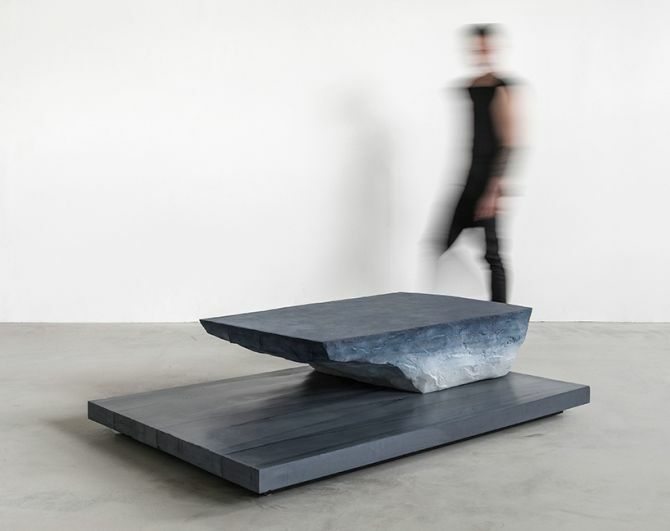 Mastrangelo’s limited edition furniture series is more like a work of art, highlighting beauty of sand’s gradient effect and melting glaciers. The Drift furniture collection was recently showcased at New York Design Week 2016, where it was highly appreciated by the visitors. 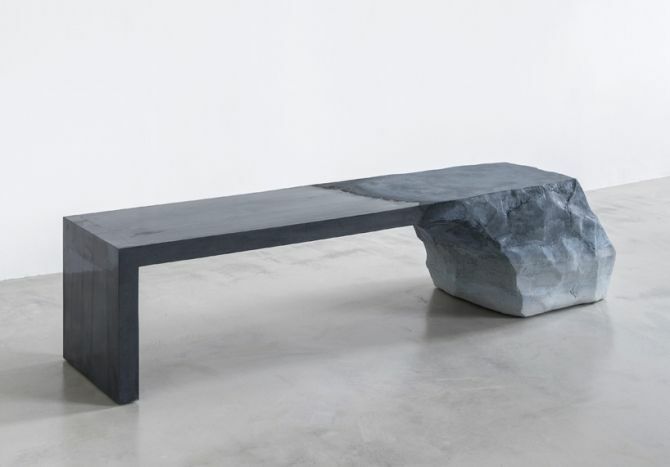 Check out some intriguing pieces from the furniture collection in the images below.